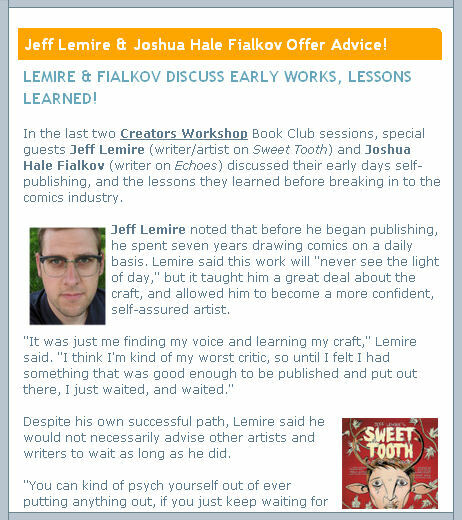 Twitter Event 1/4/12 on Breaking In & Making Comics! On Wednesday, January 4, 2012, Comics Experience instructors will be answering questions about making comics and breaking in during a live Twitter Event. You can ask our comic book writing, art, and coloring instructors your burning questions starting at 8pm Eastern Time! This "Tweet Event" leads up to the start of our three courses -- Intro to Comic Book Writing, Intro to Comic Book Coloring, and Advanced Comic Book Art -- all beginning in January and open for enrollment right now! 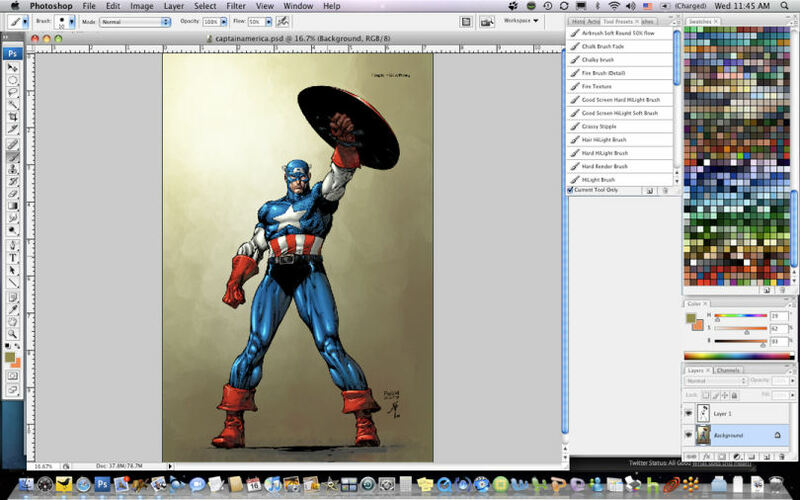 Advanced Comic Book Art will be taught by Robert Atkins, a professional comic book artist who has worked on G.I. Joe, Snake Eyes, Amazing Spider-Man, Heroes for Hire, Ultimatum Fantastic Four: Requiem and many others. If you have already taken the Intro to Comic Book Art class (a prerequisite to enrolling for the Advanced class), then this is your next step toward a career in comics! In this seven-week intensive course, you'll expand on the skills you've already developed with extended workshopping of your storytelling pages, and discussion of networking within the industry, finding good scripts to work from, how to pencil for inking and for coloring, and rendering textures and objects -- all with a focus on achieving a professional level of finishing and getting published! You can read what one of Robert's former students had to say about his teaching skills right here. 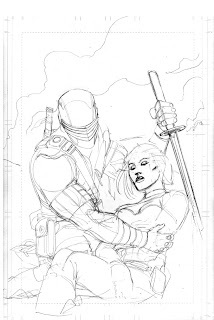 Or check out Robert's art and read his own thoughts on the Advanced Comic Book Art course in this recent Guest Blog right here. Plus, the class will have a session with special guest Rob Schwager, whose coloring credits include the current Ghost Rider, as well as Jonah Hex, Green Lantern, and Superman. Our courses are now offered LIVE, online, and you can attend from wherever you live. You'll be able to see your instructor and his desktop, interact with your classmates, and discuss your classwork in real time. And you'll be able to communicate with your classmates all week long in a special, dedicated online forum for just you and your class. iFanboy's "Making Comics" with Andy Schmidt Podcast Episode #2 posted! 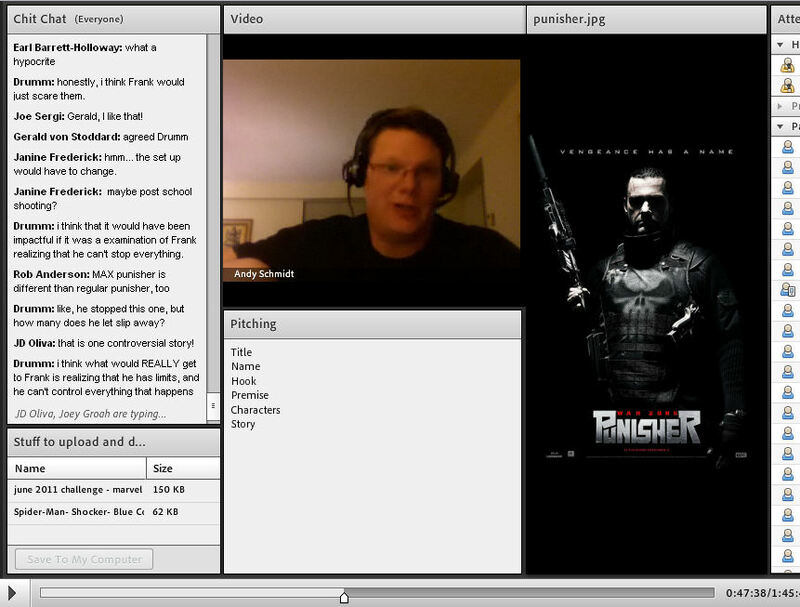 The second episode of iFanboy's Making Comics with Andy Schmidt podcast has been released! In the second episode, listen in as iFanboy host Josh Flanagan and former Marvel and IDW Editor (and Comics Experience founder) Andy Schmidt discuss "Finding Collaborators." "This week, we discuss the challenge of finding collaborators, whether it be a comic book writer looking for an artist, or vice versa. The relationship is an important one, and it’s of the utmost importance to find the right partners when making comics. Andy and Josh talk about the right ways to go about the search, and what to look for in a partner, given both of their experience." Only a Few Slots Left in January Comic Book Courses! We're getting close to selling out all of our comic book courses scheduled for January. A new year is approaching and many people will be making resolutions. Will any of yours relate to flexing your creative muscles? Or to pursuing your dream of making comics? If yes, then check out what some of our alums have said about Comics Experience -- both our classes and our online community -- right here. Read more about each course and our instructors right here! Don't hesitate to contact me, Rob Anderson, at rob@ComicsExperience.com if you have any questions about our courses or our Creators Workshop! 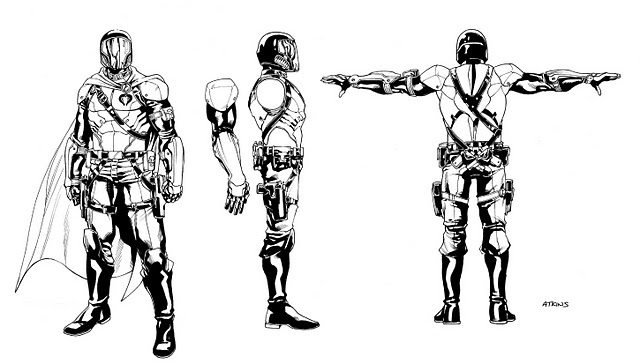 Advanced Comic Book Writing Course coming in Spring 2012! 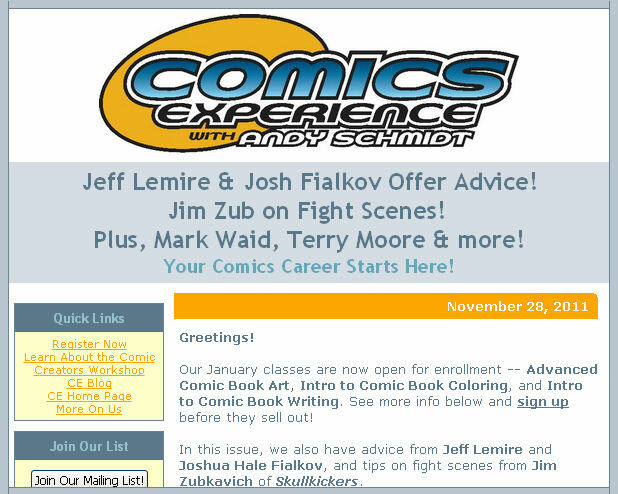 We have a full slate of classes open for enrollment for January 2012 -- so why mention the Advanced Comic Book Writing course now, before it's even open for enrollment? The reason is simple: the Introduction to Comic Book Writing class is a prerequisite for enrollment in the upcoming Advanced Class. And January will be the last Intro class offered before the Advanced class opens for enrollment. As soon as any Intro class ends, the first question we get is -- and we get it often -- "when will the next Advanced class be offered?" Well, we generally offer the Advanced Courses only once a year...so if you want to join us for both Intro and Advanced Comic Book Writing in 2012 -- and you haven't previously taken our Intro course, NOW is the time to jump on board, before the Intro class sells out. 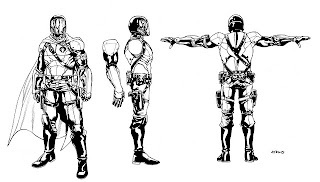 Make 2012 your year for pursuing your comics career! Stay Up-To-Date with the Comics Experience Email Newsletter! Did you know that you can stay up-to-date on Comics Experience with our free twice-a-month email newsletter? Each issue contains great advice from our regularly updated blog on breaking in and making comics. Comics retailers giving advice to new creators. community news about the publications and accomplishments of our growing family of Comics Experience alums and Workshop members. Whether you're a Comics Experience alum or just someone with an interest in making comics or breaking in, our twice-monthly email newsletter will keep you in the loop. 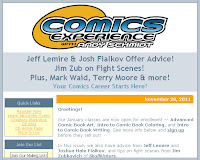 Sign up on the main Comics Experience website (http://www.ComicsExperience.com) or using the box below! Get our FREE newsletter by entering your email address here! WORKSHOP GUEST: Terry Moore on the Importance of Great Characters! In this month’s Comics Experience Creators Workshop Book Club, special guest Terry Moore shared a wide range of knowledge about the craft, art and business of comics. Moore’s work is known for its strong characterizations, and realistic, vividly-drawn protagonists. During the book club discussion of Echo: The Complete Edition, writer/artist Moore discussed the role characters can play in attracting new readers, and in creating a body of work that will stand the test of time. "Katchoo is more famous than SiP," said Moore, referring to one of the protagonists of his legendary series Strangers in Paradise. "And that’s the point. Whether you read the book first or hear about Katchoo first, it all leads you to my book. And I want you to read my books." 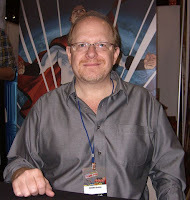 During the session, one attendee asked if all of Moore’s stories take place in the same universe, and Moore replied that they do. "The plan is that all my stories happen in the same country at the same time, in the same reality," Moore said. "Any of these characters could encounter the other." Moore said this idea came, in part, from Robert Heinlen, who wrote more than 100 books all sharing the same universe. Even if the characters didn’t cross paths, Moore said, the events in one book might create ripples that would be felt in the next. Even as a child, Moore said, he was attracted to serialized work, particularly the books of Ian Fleming, Enid Blyton and Arthur Conan Doyle. 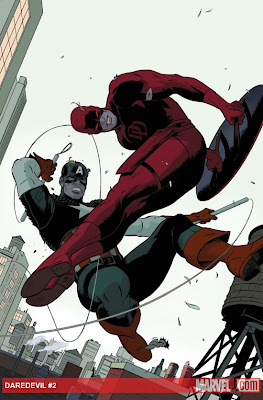 "I realized that if someone can make a cast of characters that people love, those characters last longer than someone who writes 20 unrelated books," Moore said. "Harry Potter is a good example of that. What if JK Rowling had written seven unrelated books? It would be different than seven books chronicling one set of characters." 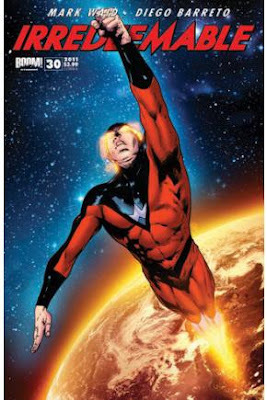 By leaving behind one huge universe, Moore said, it will be easier for future readers to discover and to enjoy his work. "I’m just one guy trying to write as many books as I can before I die, and I want the world to read my stuff," Moore said. "If I leave a lot of miscellaneous books in my wake, it’s gonna be very hard for people to ever find one or get attached to my work. If I leave a set of characters, it’s a lot easier for readers to get attached to the characters." This was just one of many topics in the 90-minute book club session. A recording of the full session will be available to Creators Workshop members for the next few weeks. Those interested in learning more about Terry Moore and his work (including Strangers in Paradise, Echo and the currently-ongoing Rachel Rising) can go to www.terrymooreart.com. Creators Workshop Book Club sessions take place every month, featuring guest writers and artists discussing the craft and art of comics, as well as the business side of the comics profession. Additionally, monthly workshop sessions feature special guests giving members real-world knowledge that will help them succeed in their comics career. 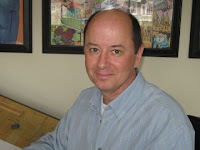 For our next live Workshop session on Tuesday, December 20, 2011, we'll be joined by special guest Michael Alan Nelson! Michael is the writer of the hot new BOOM! 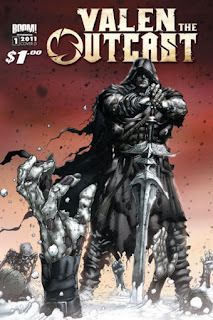 comic book, Valen the Outcast, which has been described as an "undead Conan" story filled with sword and sorcery action. And our next Book Club guest, on Tuesday, January 10, 2012, will be writer Scott Snyder, discussing his work on American Vampire from Vertigo/DC Comics. Read more about these great upcoming guests right here. 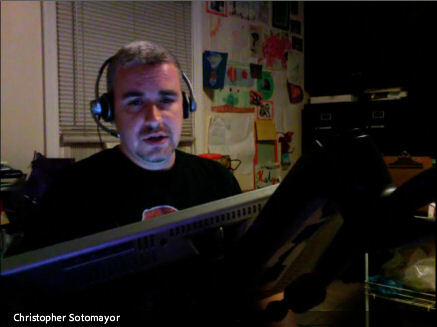 iFanboy's "Making Comics" with Andy Schmidt Podcast Launches! We're pleased to announce that iFanboy has launched a brand new podcast segment, Making Comics with Andy Schmidt! 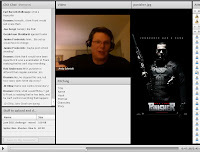 The first show is live now, and available on the regular iFanboy podcast feed. Each week, iFanboy host Josh Flanagan and former Marvel and IDW Editor (and Comics Experience founder) Andy Schmidt will be discussing all aspects of breaking in and making comics. "Whether you’re a writer, artist, writer/artist, colorist, or just someone who appreciates the craft, we hope there will be something for you, and if your dream is to make comics, that you find yourself one step closer to it." Tune in each week for more great discussion and advice! 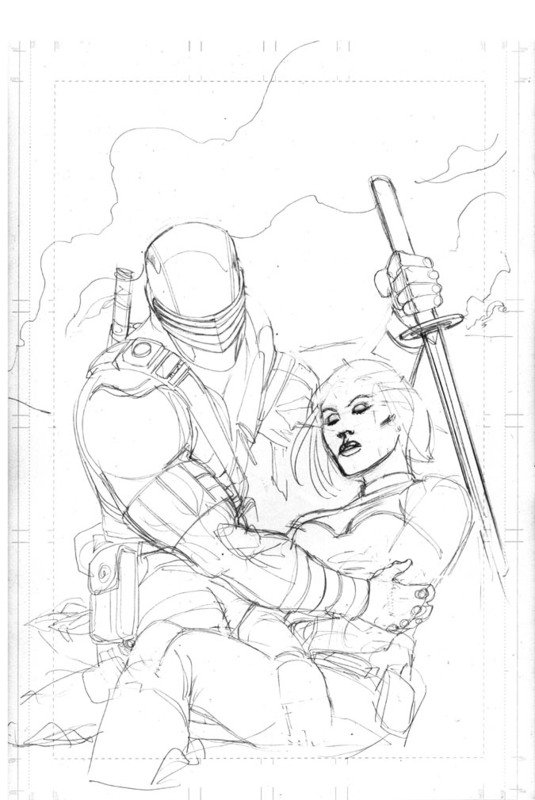 Listen to the first episode, "Start Writing"
In this guest blog, Robert Atkins, artist on Snake Eyes, GI JOE, and Heroes for Hire, and Instructor of the Comics Experience Advanced Comic Book Art class, shares his thoughts on the course. Classes will be held live, online, beginning January 12, 2012. The Advanced Comic Book Art class is open for enrollment -- and I'm excited to be starting up a new class! We're filling up, but still have some positions available for those able and interested. The seven week course begins Jan 12th, so you still have some time to prepare. While the Intro to Comic Book Art class is a bit more general, this Advanced class gets down to very specific rendering techniques and advanced storytelling methods that there isn't time to cover in the Intro class. render a wide variety of textures and objects. Plus, you will receive very personalized and specific critiques of each assignment, all with a focus on a professional level of finishing and getting published! The overall objective in the Advanced class will be to approach each individual student's needs, and taking into account their style, providing the means to make your portfolio as professional as possible. The convention season starts back up in late February with Mega Con in Orlando and really starts rolling along mid-Spring with C2E2 in Chicago and Emerald City Comic Con in Seattle. Each of these conventions are fantastic opportunities to meet with editors and small publishers in a more laid back setting, as oppossed to the crazed frenzy of SDCC and NYCC later in the year. This class will end just in time to make the most of the coming con season! For those who can't make the con circuit this year, it's still an opportunity to get one-on-one critiques of your work. With the extended time built into the schedule of the class, it allows me the opportunity to personally mentor each student. I will be able to address your assignment with specific, professional feedback. I can't stress how much I wish I had a class like this available to me before I really started showing my portfolio around to get work! I get to share with you many of the techniques I have had to learn through trial and error and it's taken me years to put them all into practice. This doesn't mean the Advanced Class will be easy work for you, but it will definitely speed up your learning process. Because the class will be made up of advanced students, we get to hit the ground running and really apply specific techniques over your solid storytelling foundation! I hope to see you all in January! 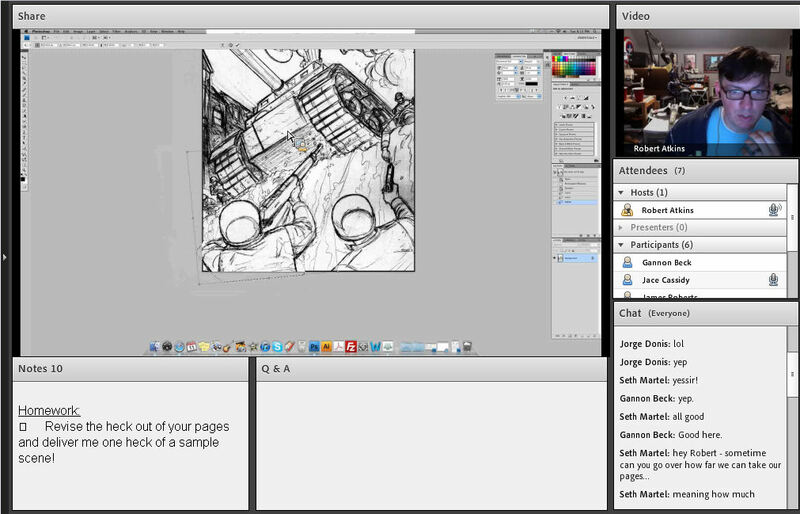 The next session of the live, online Advanced Comic Book Art course begins January 12, 2012. Enrollment is still open, but seats are limited, so sign up now! 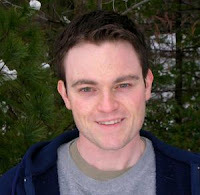 WORKSHOP GUESTS: Michael Alan Nelson & Scott Snyder Coming Soon! We have two fantastic guests joining us LIVE at the Comics Experience Creators Workshop soon, and there's still time for you to join us at these online sessions! For our next live Workshop session on Tuesday, December 20, 2011, we'll be joined by special guest Michael Alan Nelson! Michael is the writer of the hot new BOOM! comic book, Valen the Outcast, which has been described as an "undead Conan" story filled with sword and sorcery action. 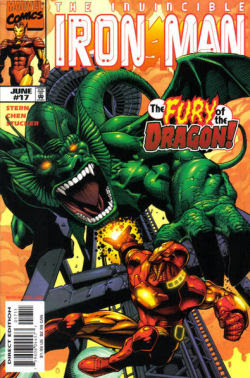 The first issue just debuted on December 7, 2011, even garnering some controversy in the comics media related to burnings of a Joe Jusko variant cover. Valen the Outcast is a new, ongoing series from BOOM!, but Michael has been writing comic for seven years, having produced over 120 single issues for dozens of series, including 28 Days Later, Hexed, and Fall of Cthulhu. 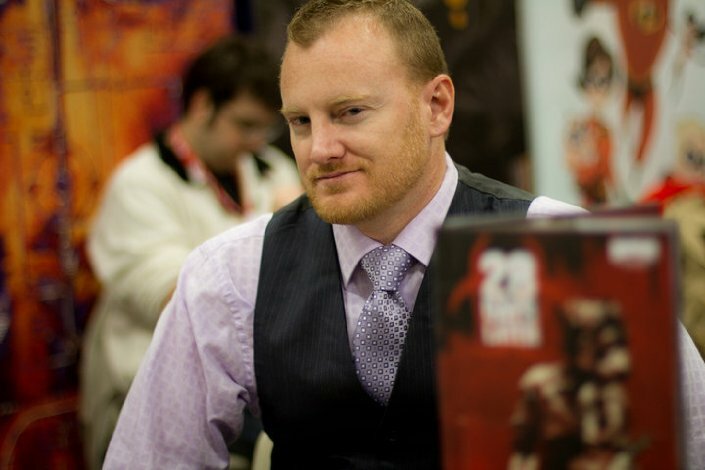 Michael will be joining us to discuss his path into the industry, his new work on Valen the Outcast, as well as his experiences working on a popular, licensed property like 28 Days Later. Michael will also be critiquing a winning script, posted in December by a lucky member of the Creators Workshop. 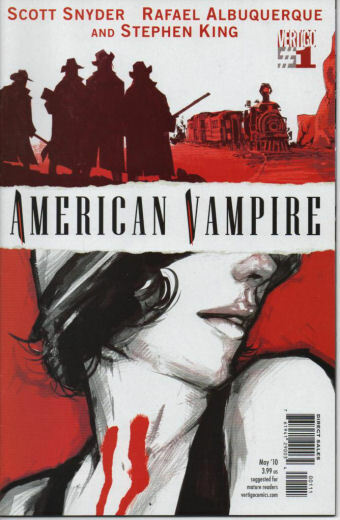 And, we're pleased to announce that on Tuesday, January 10, 2012, writer Scott Snyder, will be joining us for a Creators Workshop Book Club discussion of American Vampire, Volume 1 from Vertigo/DC Comics! Join us at the Creators Workshop to take part in these sure-to-be great discussions with Michael and Scott! Give (or GET) the Gift of Making Comics for the Holidays! So, maybe you've had a goal of making comics for a while? Or maybe you're making comics right now, but want to raise your game? Or know someone who's trying to do the above? If you want to make 2012 YOUR year for making comics, consider asking for (or giving) a Comics Experience Course or Creators Workshop membership for the holidays. Or, consider a monthly or 6-month membership in the Creators Workshop, and receive two monthly live, online meetings with creators like our recent guests Terry Moore and Mark Waid, plus access to our members-only forums where you can post your work, receive feedback from pros and colleagues, and read more than 10,000 posts on making comics! Buying for yourself? Just follow the links above and use PayPal. Buying for someone else? Still use PayPal, but just note it will be a gift in the "comments" section of your PayPal order, and we'll work with you to get the gift in place for your lucky recipient. Don't hesitate to contact me, Rob Anderson, at rob@ComicsExperience.com if you have any questions about our courses, Workshop, or giving/receiving a "making comics" gift this year! WORKSHOP GUESTS: Terry Moore LIVE on Tuesday, 12/6/11! Tomorrow night, Tuesday, December 6, 2011, writer/artist Terry Moore, will be joining us for a Creators Workshop Book Club discussion of Echo, The Complete Edition! Terry Moore writes, draws and publishes comic books through his own imprint, Abstract Studio. Terry has also worked for Marvel, DC, Dark Horse, Image and others. His work has won many awards, including the Will Eisner and Harvey Awards. 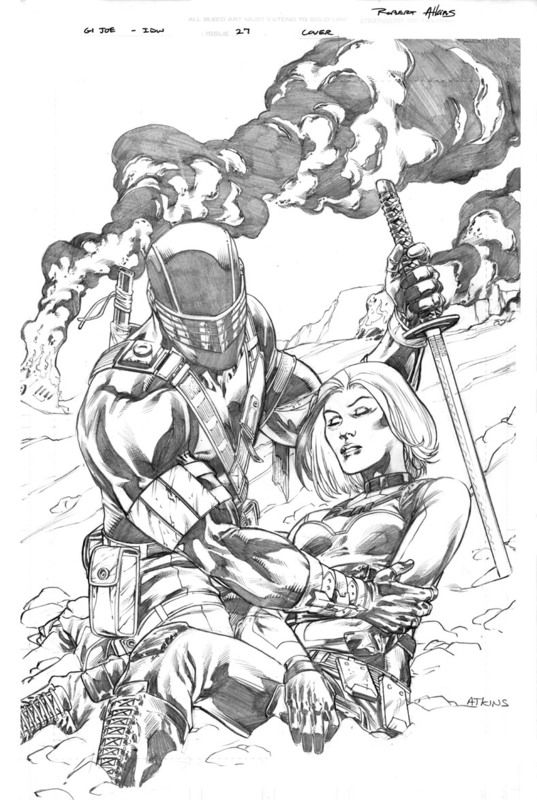 His first series, Strangers In Paradise, was a 107-issue epic that ran from 1993-2007. His current project is the on-going horror series, Rachel Rising, about a woman who wakes up in a shallow grave in the woods and discovers the murdered body in the dirt is her own. 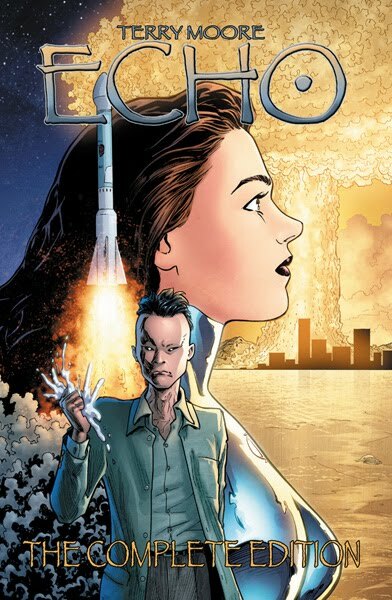 Beginning in 2008, Terry launched Echo, a sci-fi series about atomic power and two women who share the same body. We'll be discussing Echo with Terry, in total, at the next Book Club session! Join us at the Creators Workshop to take part in this sure-to-be great discussion with Terry! If you're like me, you learn a lot from comic convention panels, especially those on breaking in, craft, and process. But no one person can get to every panel or every convention. And while many panels get recorded these days, not all of them do, and sometimes you just want to review the highlights rather than listening again from beginning to end. 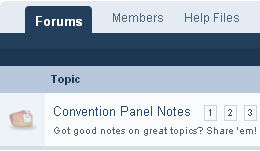 Well, one of the many features of the Comics Experience Creators Workshop is a "Convention Panel Notes" thread where members share their notes from sessions related to making comics. In fact, going beyond conventions, we also have notes from various physical seminars and workshops from the past. Want some examples? How about John Layman's Pitching Workshop, held in New York City in 2010? Or the Kickstarter panel from NYCC 2011? We have notes from a Trickster writing seminar, held during SDCC 2011. And notes from panels on how to get news coverage for your comic from SDCC 2011 itself. Plus, Breaking In panels, including the excellent one held by Scott Allie (Dark Horse) and Matt Gagnon (BOOM!) at this year's New York Comic-Con. This is just one of the examples of a single thread from the Creators Workshop focused on breaking in and/or making comics. If you want to make comics, write or draw comics, or improve as a comics creator, you'll find like-minded friends and colleagues in our online workshop and courses. We hope to see you there!